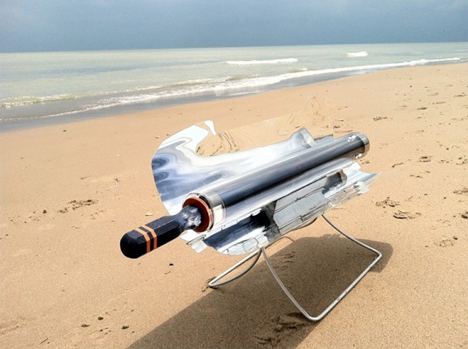 Solar cooking has been used by cultures around the world for centuries, but it has gained renewed popularity in the modern world. The simple cooking method uses no fuel but the sun itself, and it cooks just as well as any conventional oven. To date, the GoSun Stove seems to be one of the most advanced and effective solar cookers available commercially. 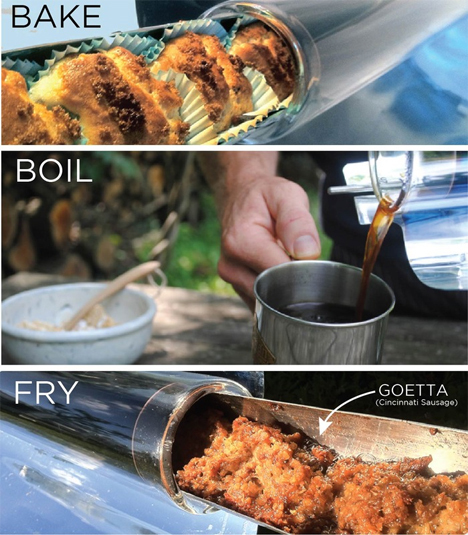 The highly portable evacuated tube stove costs under $200 and can cook up your vittles in as little as 20 minutes. It reaches temperatures up to 550 degrees Fahrenheit in just a few minutes, using its reflective surfaces to heat food quickly and efficiently. Most solar ovens require a lot of calibration and experimentation to find the optimal position for maximum sun exposure. The GoSun can be positioned in any direction; its design attracts and amplifies the sun’s heat from any angle. It retains up to 90 percent of the sunlight that hits it, enabling it to cook a wide variety of foods no matter what the season. See more in Home & Personal or under Gadgets. November, 2013.